Raleigh, NC – August 31, 2017 - L&E Research, the preferred choice for recruiting and facilities in the qualitative market research industry, is pleased to announce its new partnerships with leading technology companies Aha!, IDG (Informed Decisions Group), Isobar and LivingLens. 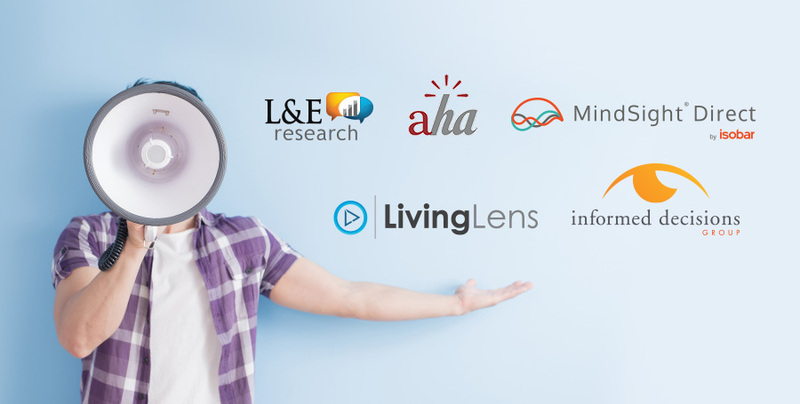 "Aha!, IDG, Isobar and LivingLens are the most forward-thinking leaders in qualitative technology, and we're proud to partner with them to offer our clients a wide array of choices to solve any qualitative research challenge. L&E’s unique team of Research Design Engineers (RDEs) who are trained in the latest qualitative methodologies and the latest technologies used to execute them, help guide clients toward finding the right answers to solve their business problems. With L&E's combination of talent and technology, we're a one-stop shop for clients and their qualitative research needs." L&E Research specializes in qualitative research recruitment and provides additional qualitative market research solutions including focus group facilities, online qualitative technologies and more. L&E is headquartered in Raleigh, NC and has been named to the Inc. 5000 list of fastest growing private companies in the U.S. multiple times. In addition to a virtual presence nationwide, L&E has physical office locations in 7 markets, including Cincinnati, OH; Columbus, OH; Charlotte, NC; Minneapolis, MN; Raleigh, NC; St. Louis, MO and Tampa, FL.